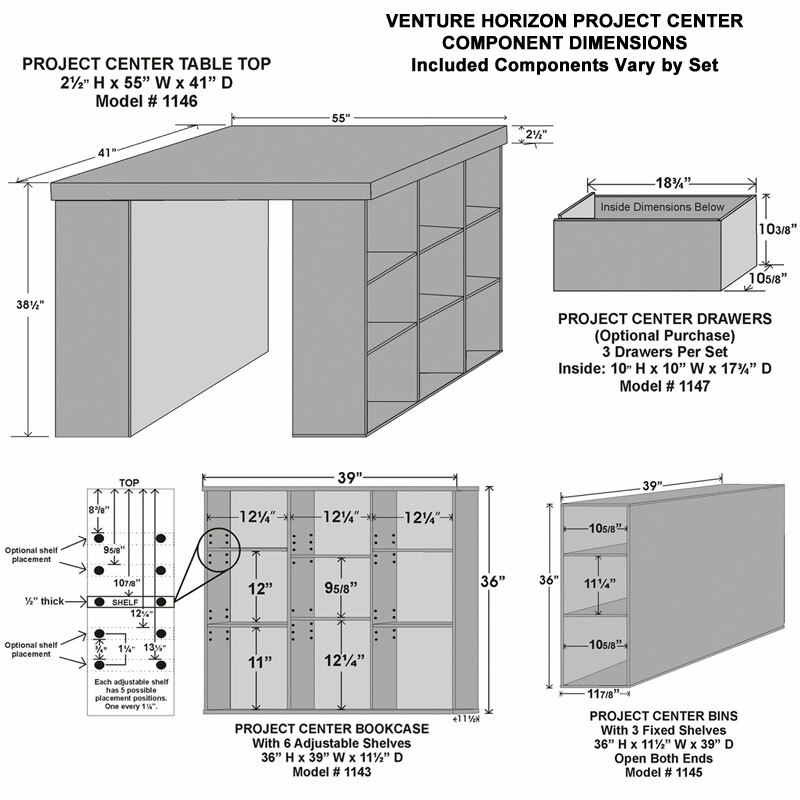 More on the Venture Horizon Project Center Table with Bookcase and 3-Bin Cabinet Sides (Walnut) 1151-60DW below. 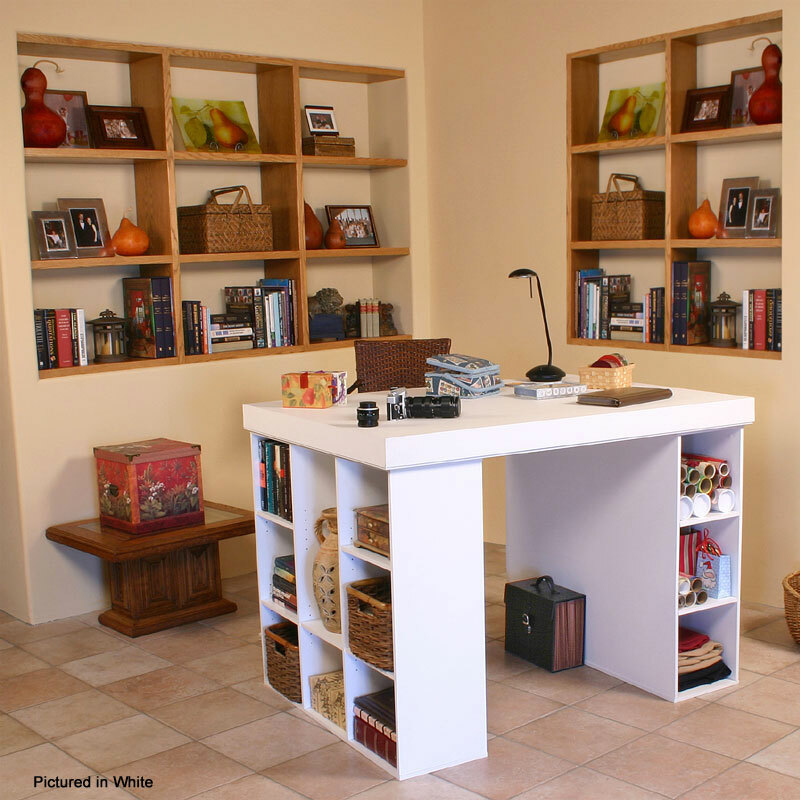 9 cubbie-style storage shelves (3 fixed, 6 adjustable). 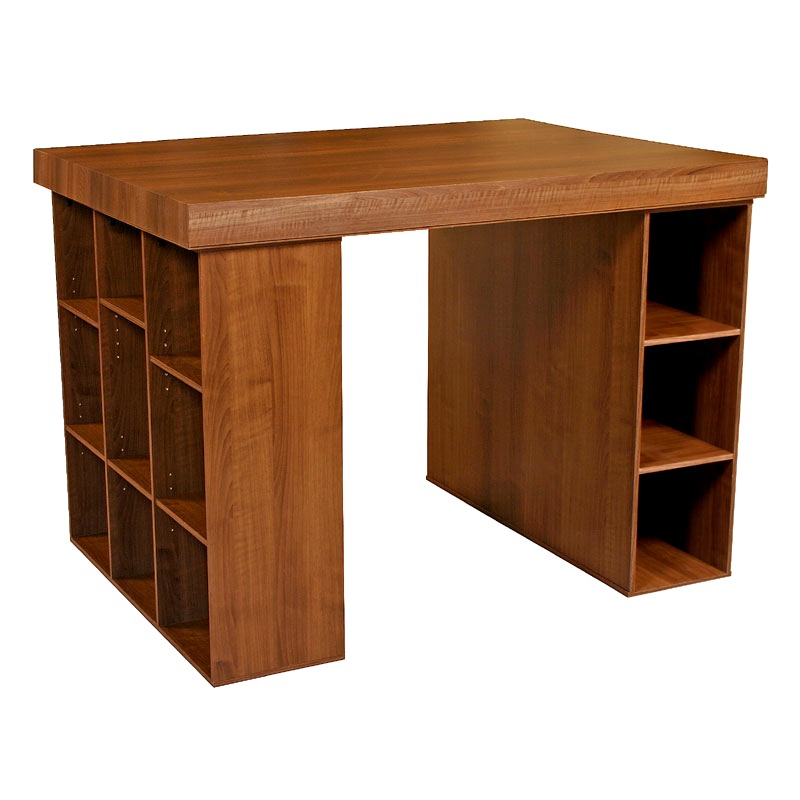 Click "View More Images," above, for detailed dimensional drawings.